Etched plate bronze with polymer fill. The Twentieth Century is public artwork installed at Hazelwood House, Canal Road, Ranelagh, Dublin 6. 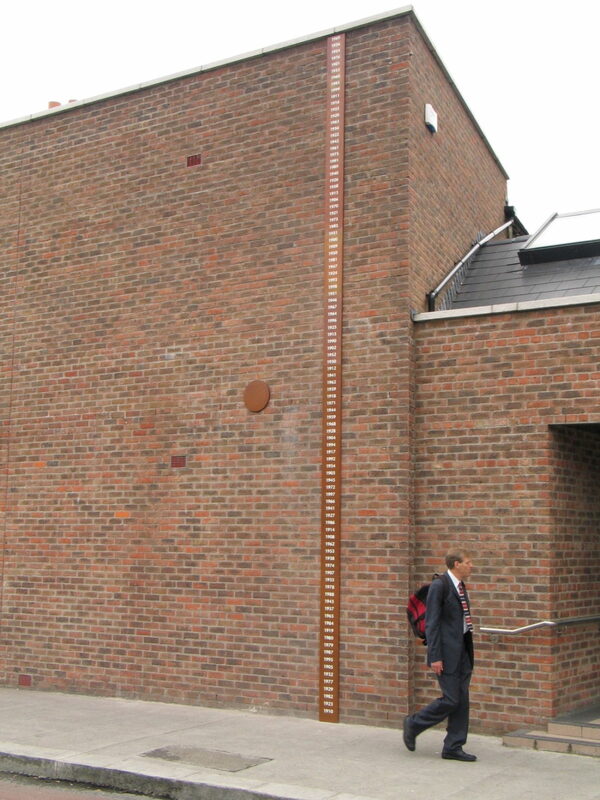 A bronze plaque nearly seven metres long is etched with all the years of the twentieth century, arranged in random order. The materials and processes used are similar to those used in the manifacture memorial plaques commemorating the residences of the historically noteworthy in Dublin city. Hazelwood House is a residential social housing development built and managed by Dublin City Council.